After a day's work is finished, take a look around at your company. Do standard production processes and day-to-day operations leave you with loaded trash bins from the front office to the factory floor-and every place inbetween? Such "solid waste" does far more than squander resources and imperil the environment… it's undoubtedly eating up countless dollars of your profits. Corporations throughout the nation are learning to tame solid waste, by implementing improved management of materials. 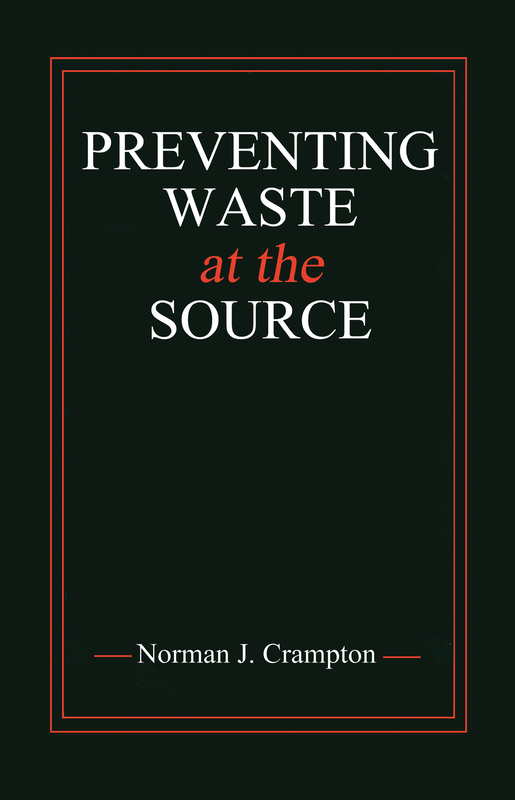 Preventing Waste at the Source demonstrates how more than 50 companies have effectively reduced solid waste throughout all departments-and achieved dramatic reductions in operating costs. Beginning with a strategic framework, readers can then zero in on wasteful practices affecting all aspects of a business. Paper reduction measures for administrative offices, for instance. Ways to minimize packing materials over in the shipping department, while still protecting the product. There's also steps where suppliers and customers can take part in waste minimization efforts. Case histories prove it can be done, to everyone's advantage. Researched and compiled by the Indiana Institute on Recycling, Preventing Waste at the Source offers practical, on-the-job assistance to environmental managers, plant managers, manufacturing and quality engineers. Put its techniques and real-life guidance to work. You'll save more than money: you'll help save the environment.